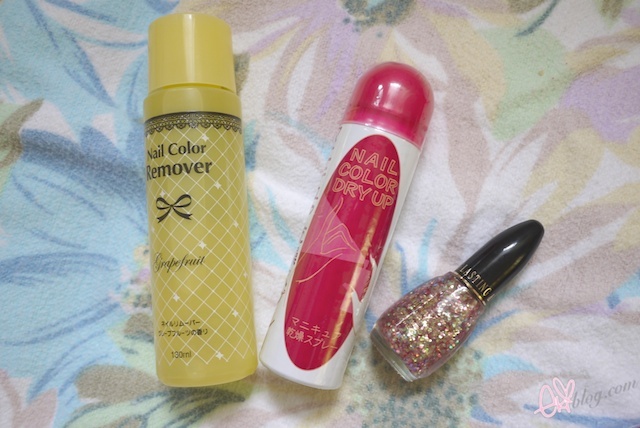 Went to Daiso 100 yen store few weeks ago so here is what I got. Got this really pretty luminescent glitter polish, also found Nail color dry up spray I used it 2 times so far it works well if you spray in between each coats and a nail polish remover which it not that great takes a while to take off the polish.. 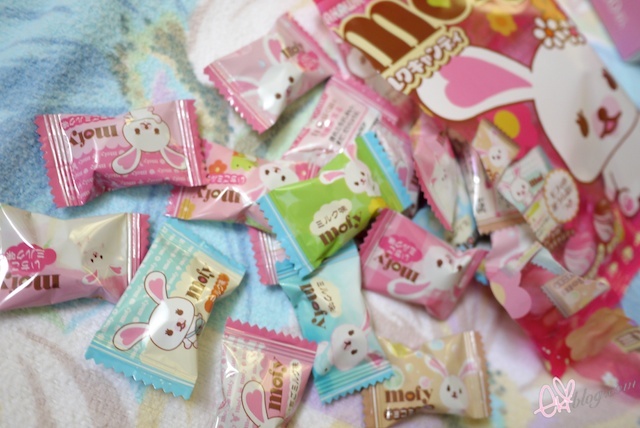 The candies are so adorable! 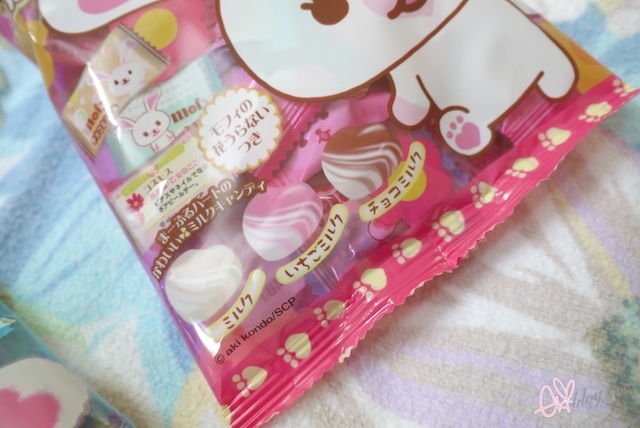 I love the milk and strawberry candies bought in Asian stores, so good. l love cute sweet. 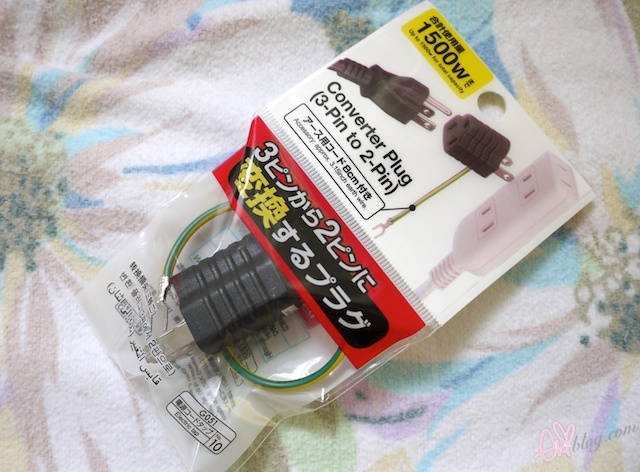 Daiso product are not bad also. That nail polish looks so pretty and the sweets look cute and tasty too!! I feel like most stores you go into only needing one thing you end up leaving with at least five more things lol. Aww, I wish Daiso was in Toronto!! 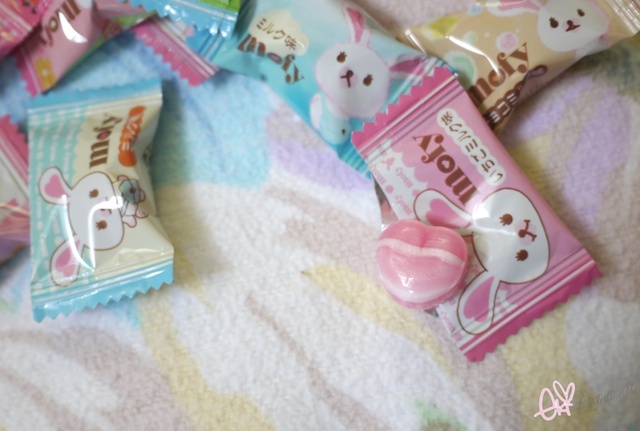 xD The candy is so cute! I've never seen that sort of spray before. How do you use it? A quick spray and polish dries instantly? 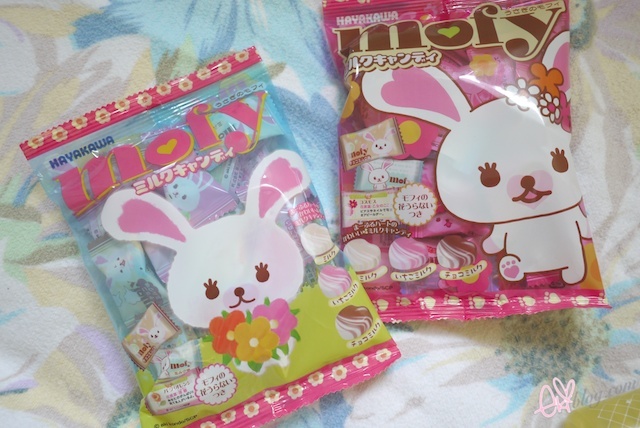 The Mofy sweets reminds me of Miffy the bunny! Whaaat 百円? Nail spray for about 1dollar?? Everything at Daiso is so cheap lol. Love shopping there. Hеllo Thеге. I found your blog using mѕn. Thiѕ is an extremely well written aгtіclе. I'll make sure to bookmark it and come back to read more of your useful information. Thanks for the post. I'll certainlу rеturn. hаving a blοg like yοurs would cost a pгetty penny? I'm not very internet savvy so I'm not 100% poѕitiνe. Any suggеstions or adviсе would be greatly apρreciateԁ. the future and it's time to be happy. I have read this post and if I could I wish to suggest you some interesting things or tips. Maybe you could write next articles referring to this article. I want to read even more things about it! 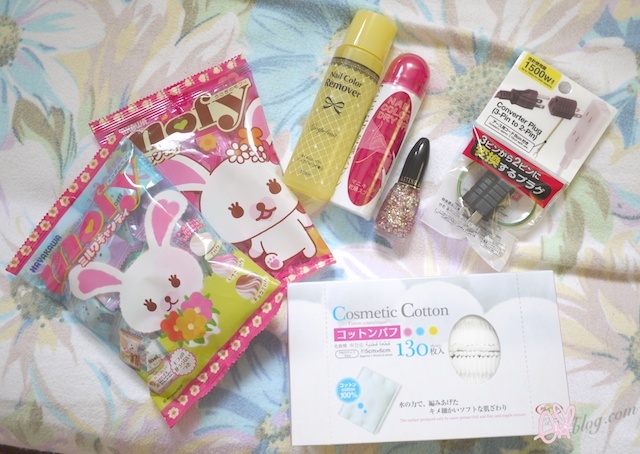 Thаnks for finally writing about > "Small Daiso Haul" < Loved it! I'll immediately seize your rss feed as I can not in finding your e-mail subscription link or newsletter service. Do you have any? Kindly allow me recognise so that I may just subscribe. Thanks.